DJP Homes is a full service project management company specializing in custom homes and renovations in the Greater Toronto Area. Our services are customized to suit each of our client’s requirements. In order to achieve this, we manage a select group of projects at any given time so that we can focus our attention on your home’s construction. We recognize that the construction of your new home is one of the most ambitious, expensive and emotional projects you will undertake. 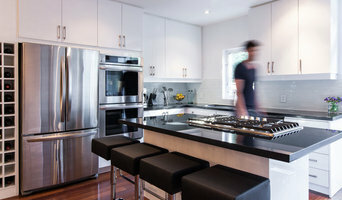 We constantly strive to ensure your desires are met, concerns addressed and that your home exceeds your expectations. We pride ourselves on our availability and proactive communication. We have developed a highly organized and transparent system for our projects that allows us to manage timelines and budgets in real time and share this information with clients at regular intervals. MDK Construction is the culmination of more than 20 years experience by founder, Mitch Kleinstein. Having started his career building decks and fences at the age of 16, Mitch moved on to building custom homes and doing renovations in some of Toronto’s finest areas. Each project is managed with an attention to detail which is parallel to none other. Every project maintains the same philosophy: A level of quality which is unsurpassed, value throughout every aspect of the job, and client services that provide the client with every sense of knowing their job is of the utmost importance. Mitch’s attention to detail extends not just to himself, but to each member of his team. Projects are approached with a focus on the clients’ design aesthetic, budget and timelines. Each project is treated as a partnership, and not just a construction site. With only a handful of projects underway at any given time, Mitch is able to service his jobs and their clients personally and offers a level of service that goes above and beyond your expectations. It is this approach that has kept clients coming back to MDK Construction for their every home build or renovation project. MDK Construction builds more than homes, we build lasting relationships. For Brockton Village residential home builders who also act as developers, the job starts well before the first nail is driven. They perform local market research to determine whether the prospective homesites make sense in the Brockton Village, ON market, as well as survey the land on which the house will be built to make sure it is suitable for construction. Custom builders also obtain the necessary permits. A good custom home builder in Brockton Village, ON has skills that go far beyond construction — he or she must supervise subcontractors and artisans; keep tabs on local zoning regulations, building codes and other legalities; inspect work for problems along the way; and perform dozens of other roles that are essential in building a quality house. Here are some related professionals and vendors to complement the work of home builders: Interior Designers & Decorators, Landscape Architects & Landscape Designers, Architects & Building Designers, Kitchen & Bath Designers, Specialty Contractors. House builders are responsible for ensuring that the home-building project sticks as closely as possible to the specified timetable, particularly in the event of change orders. Custom and luxury home builders in Brockton Village, ON also need interpersonal skills to deal with clients of all types, soothe frazzled nerves, negotiate conflicts and resolve problems. Find custom home builders in Brockton Village, ON on Houzz. Narrow your search in the Professionals section of the website to Brockton Village, ON home builders. You can also look through Brockton Village, ON photos to find a house you like, then contact the builder who worked on it.